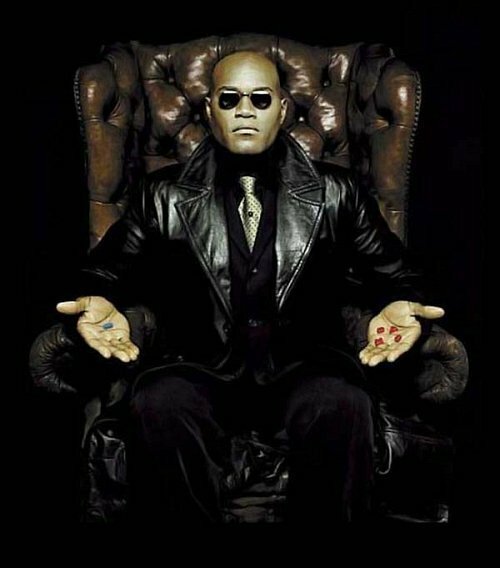 Morpheus Red ou Blue Pill. . Wallpaper and background images in the The Matrix club tagged: matrix morpheus. This The Matrix photo might contain costume d'affaires and costume d’affaires. I'd pick the red one too!